Slack is a messaging app for teams. 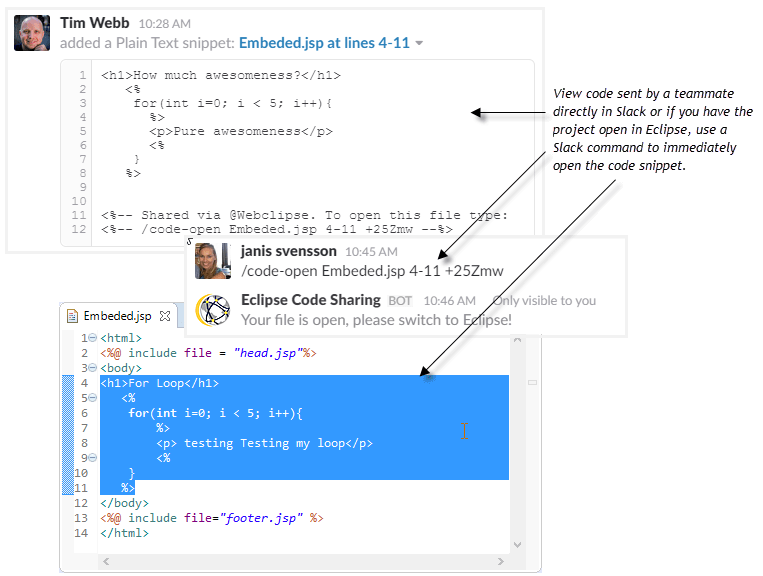 With our Eclipse Code Sharing for Slack integration it’s easy to share and discuss code snippets from your IDE with your team. View shared code in Slack or open the snippet directly in your IDE for added convenience. It’s free to try in MyEclipse, CodeMix and Angular IDE. Ready for better teamwork with Slack integration? 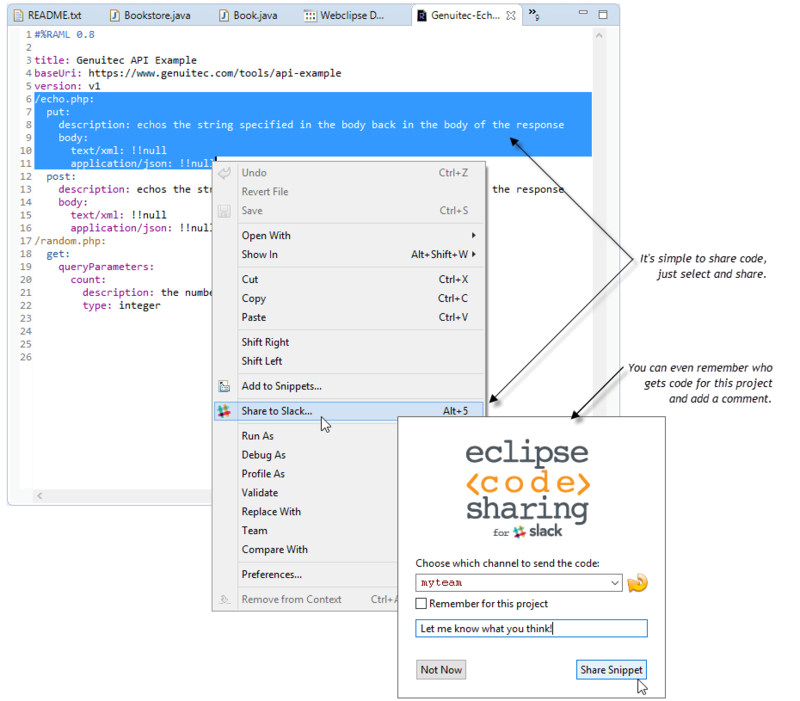 Our CodeMix plugin gives you an easy way to integrate Slack with Eclipse. 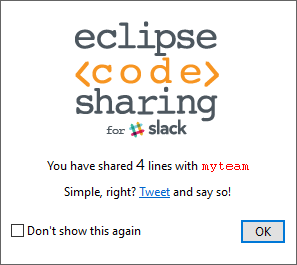 You can also get Eclipse Code Sharing for Slack inside MyEclipse and Angular IDE. 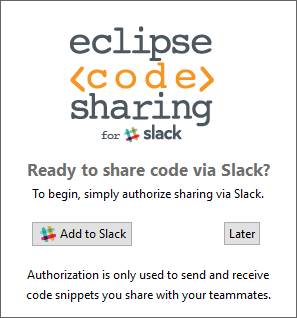 Simply authorize Eclipse Code Sharing for Slack to access your account and you’re ready to go! Use Slack to send code to your peers or view code they send to you. 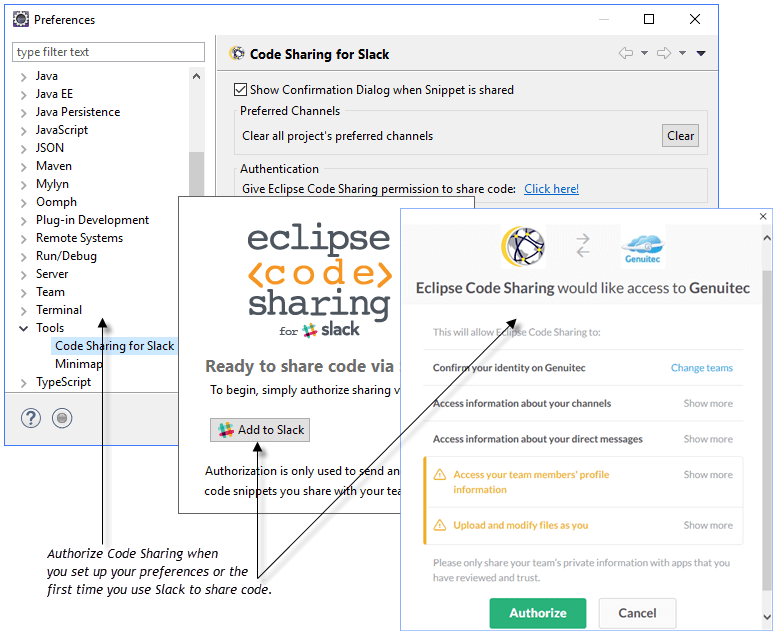 Before you begin sharing code, you will need to give Eclipse Code Sharing for Slack permission to access your Slack account. You are prompted for authorization the first time you share code with Slack. You can also give permission at any time from Preferences. To access Preferences, go to Windows>Preferences>Tools>Code Sharing for Slack. To share code with others, select the code, right-click and select Share to Slack. You can add code to a channel for all eyes to see, or send code directly to an individual or private group (you have the option to remember the recipient for all code sent from the project). Then, add a comment, click Share Snippet and you’re done! When a teammate shares a snippet of code, you immediately receive notification and the code snippet in Slack. Tip: You can easily copy and paste the command from the last line of the code snippet. This line includes the locator-id to tell the IDE which file to open.